Can I use YouTube's scheduled events/streams with Lightstream? Scheduled events on YouTube? We've got those, too. 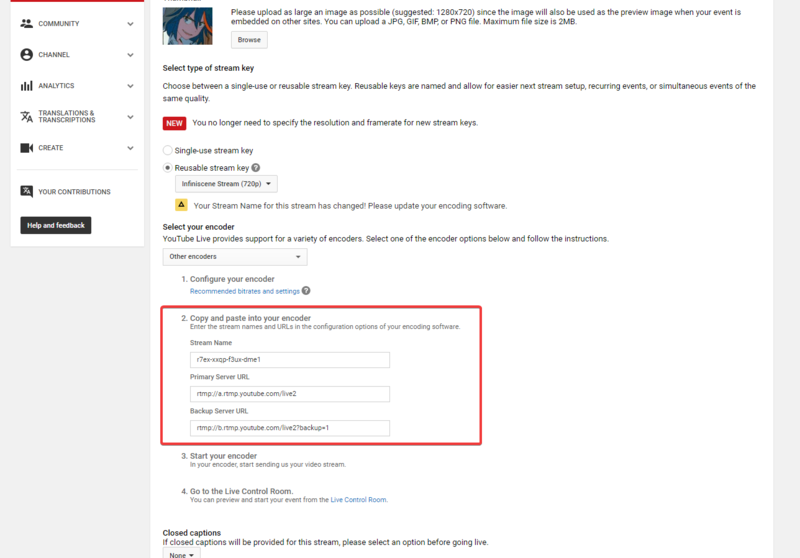 To obtain the information for your scheduled event, you'll want to visit your YouTube Events page and create a "New live event". On the next page set up your event, select Custom for your "Type" at the bottom right. and click "Create event".